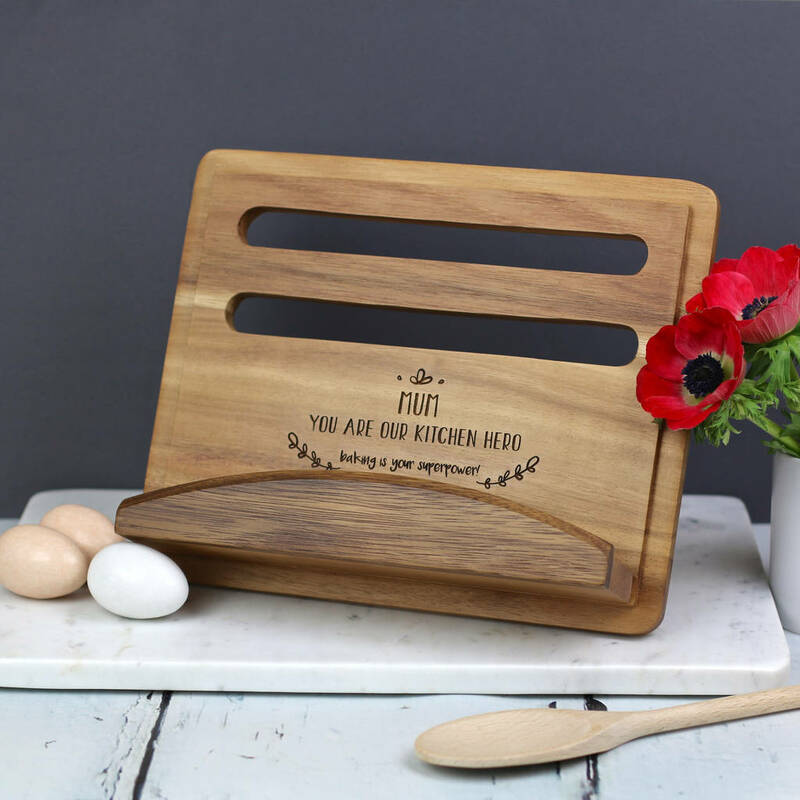 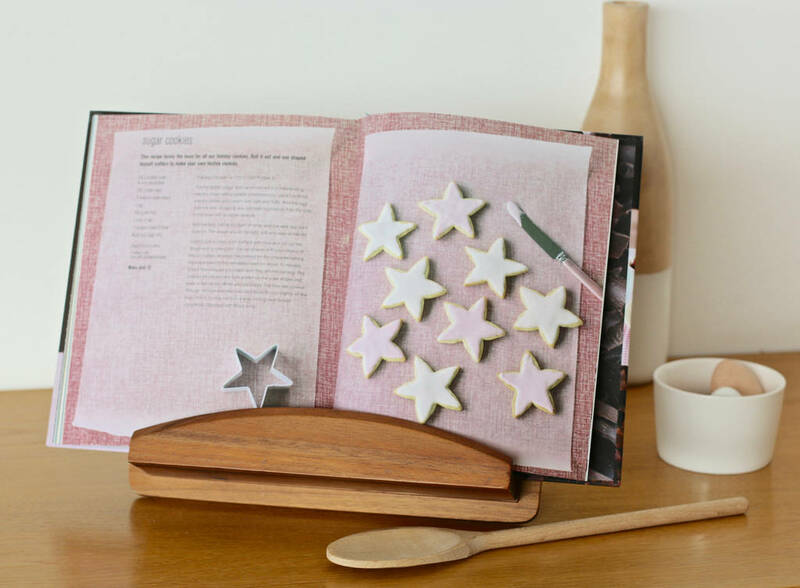 A new design cook book stand with a personalised touch, from Auntie Mims. 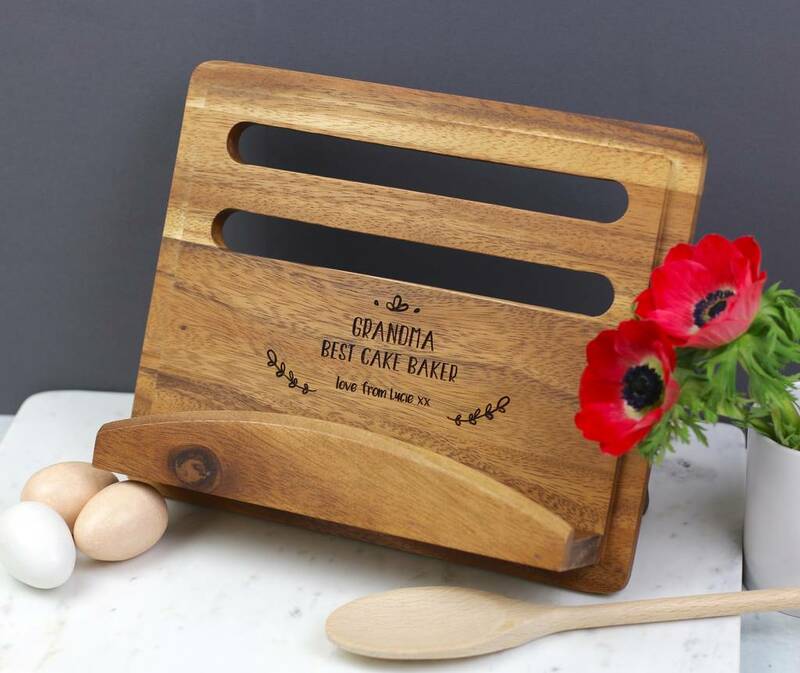 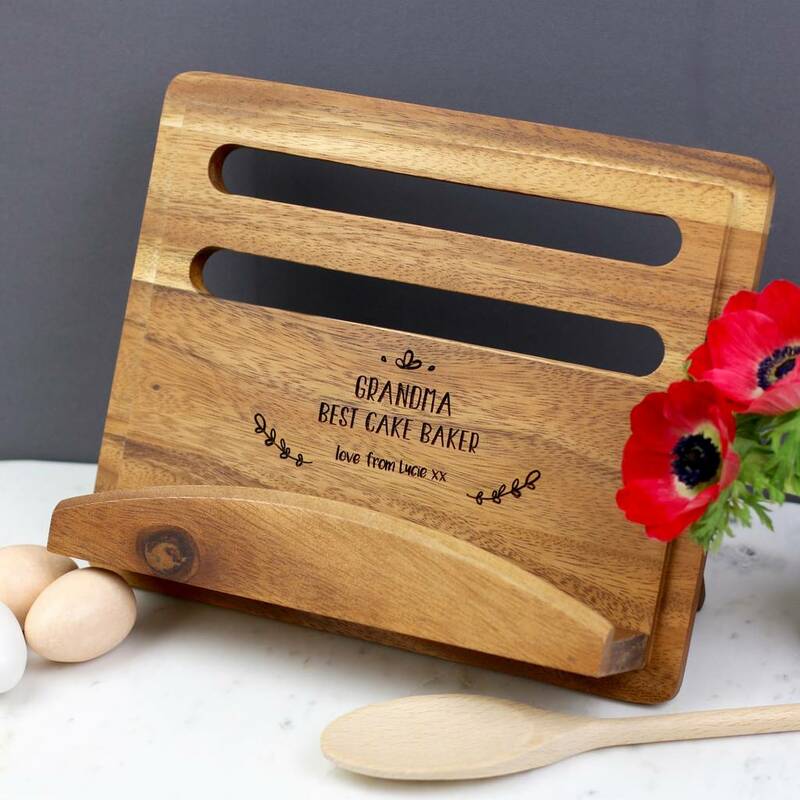 This is the perfect gift for the special person in your life who keeps you fed with homebaked treats! 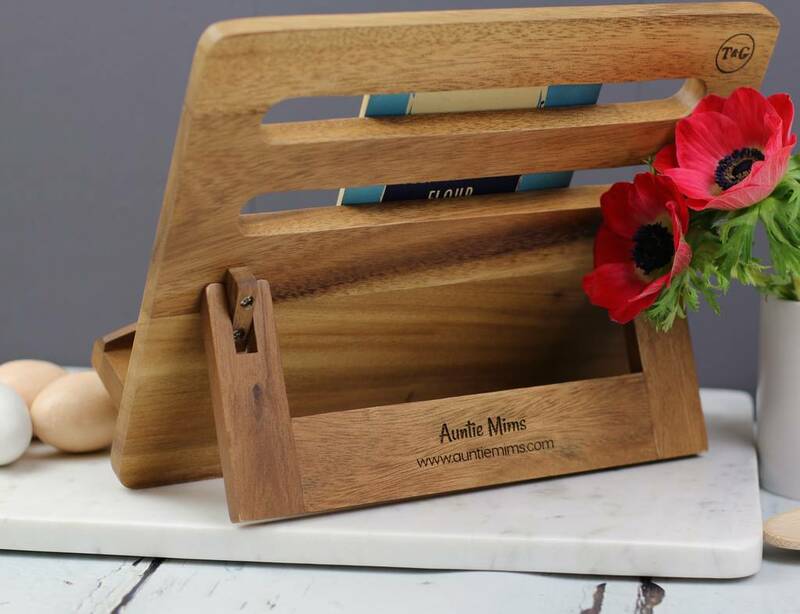 It is a sturdy stand that will hold even a large book or an iPad safely. 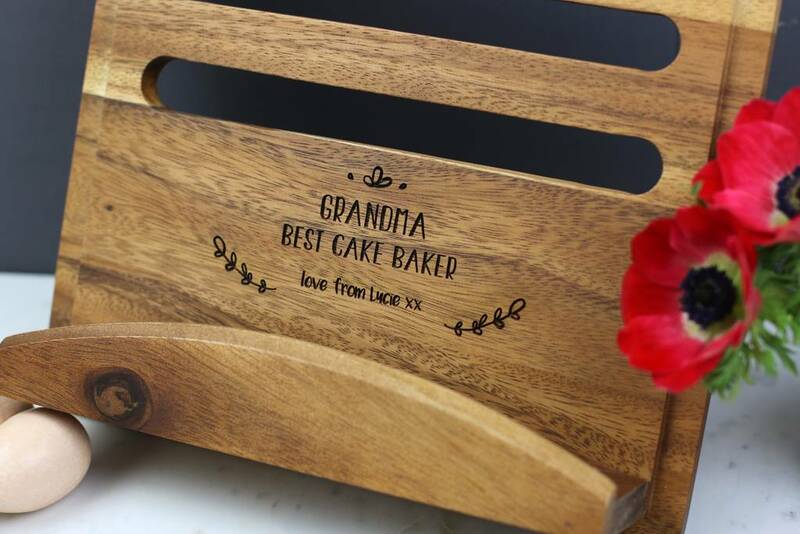 You can choose up to three lines of personalisation. 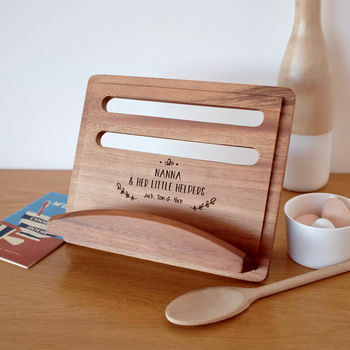 Why not add some personalised wooden spoons to complete the gift (see seperate listing)? Made from beautiful, durable Acacia wood (depending on stock) from a sustainable source; wipe clean.